The headquarters of the tech innovation company features a facade of tree like perforated aluminium cladding and a large scale central green courtyard. 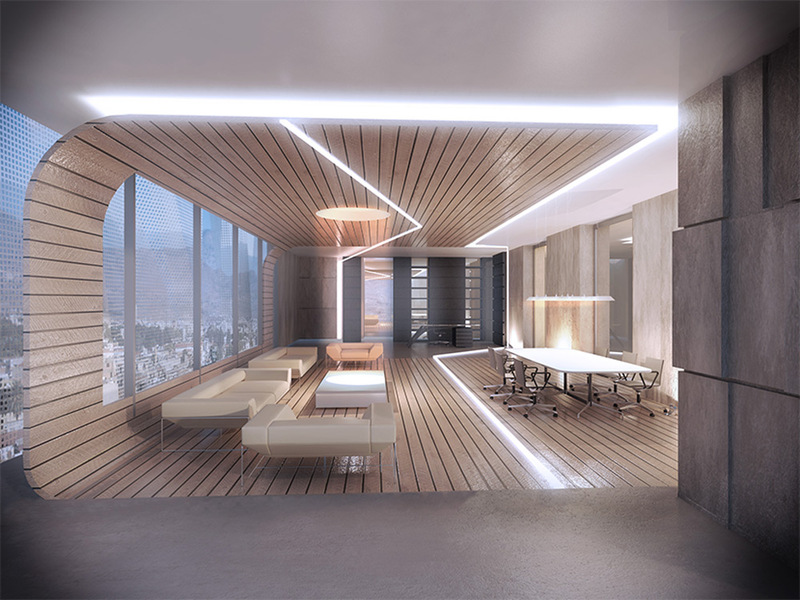 The six-storey office building is envisioned as a single clean shape above a single-storey ground volume that houses retail shops and free working and meeting spaces for start ups that act as business incubators. The building’s form was dictated by the shape of the challenging triangular site and the necessity to maximise useable space. In total, the building contains 30 work areas and 20 meeting rooms, all served by 6 coffee stations. The array of perforated tree-like panels reinforces the building’s iconic character, while improving its energy efficiency. Designed to become one of the most sustainable buildings in Cyprus, the building features an innovative Closed Cavity Facade (CCF) glazing system. The CCF system prioritises occupant comfort and reduces the whole building’s energy demand and carbon emissions. Internally, the spaces are mostly open plan with as few columns as possible to facilitate the collaborative office culture. The corridors are designed around a central atrium as a continuous looping circulation route. 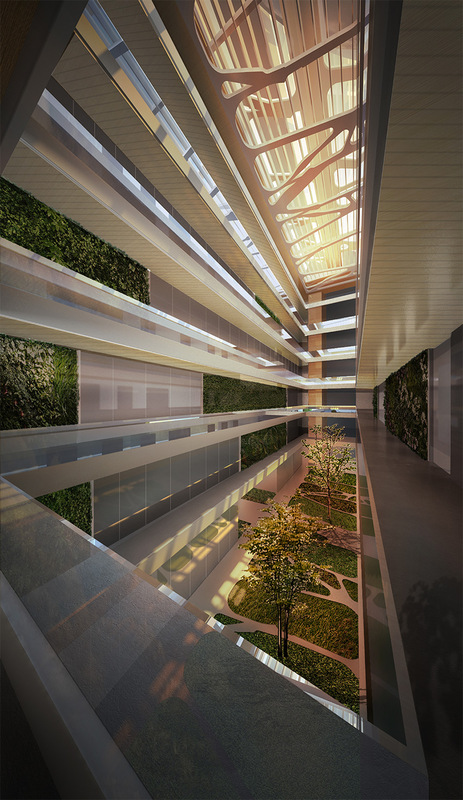 Double sided vertical gardens walls are created across the corridors while indigenous trees and plans cover the ground floor atrium space. A colour palette of marble and light grey tones runs throughout, interrupted occasionally by more vivid walls and furnishings. Designed to become one of the most sustainable buildings in Cyprus, the building features an innovative Closed Cavity Facade (CCF) glazing system.